Re-Membering ~ We are all Priestesses and Priests to that which draws the attention of our soul and the soul of our intentions. ​Programs for all Community Arts, Mentorship, Cultural Diversity, Mediation, Celebration and Communication. Where Ancient Wisdom and Contemporary Knowledge Unite! Reclaim Native Spirit, No matter what your Heritage. 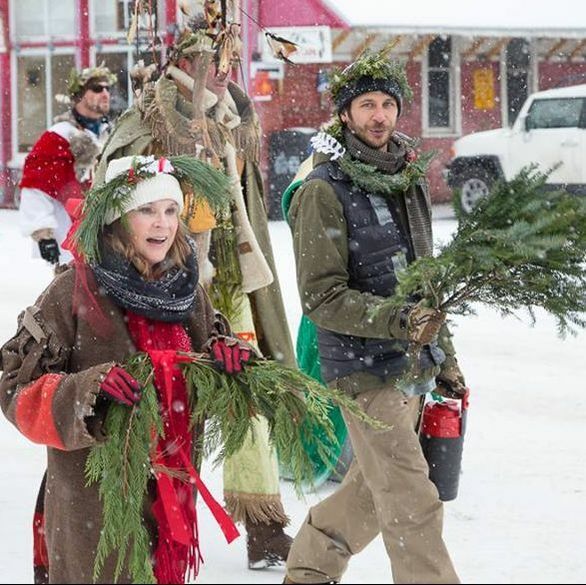 Celebrating Place Spirit & our true Communal roots! Those who create--children, art, political change, community advocacy, Earth activism must be Fierce, Wise and Protective! --for there is no time now, but all-time. We are Earth Warriors." 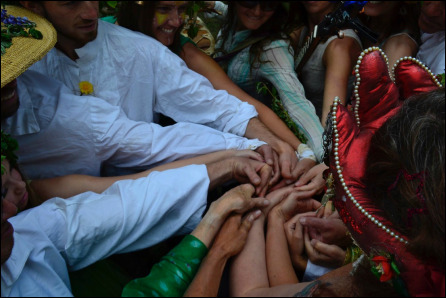 Join us and become a Minister of Earth Justice, Sacred Arts, Sciences and Advocacy. Two 5-night and 4-day Intensive Seminary Retreats in the Colorado Rocky Mountains and Baja Mexico offer you Certification in the International Order of Earth Wisdom/Puente Ministers and Pastoral Guides and Chaplains. 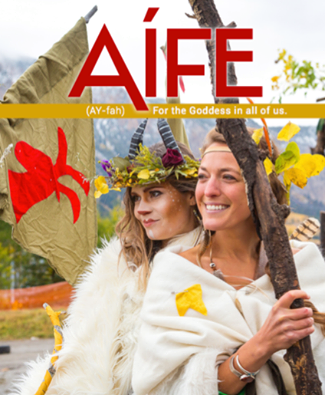 EARTH WISDOM EVENTS FEATURED IN AIFE MAGAZINE AIFE Cover Story of Novemeber 2016 celebrates Marcie Telander, Founding Director and Creator and the Powerful Women of VINOTOK, COMMUNITY HERITAGE AND TRANSFORMATION EVENTS . You can order this exquisite magazine which celebrates the Goddess Within Us All. 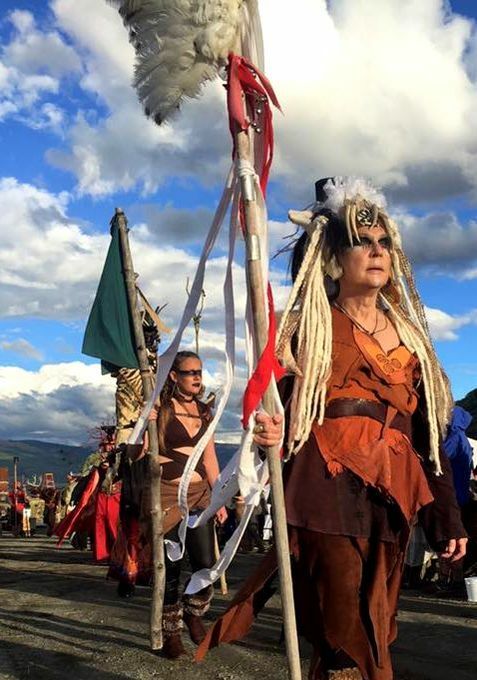 View exquisite photos and read about the Earth Wisdom Mystery School Earth Advocates, Celebrants, Community Animators who, for the last 32 years, have re-created this Autumn Festival Week of soulful activism, Wilderness and Indigenous Spirit support. Join us through the Mystery School (see tab) to enter our Secular Ministry and Community Animation Practitioners Programs and Retreats. 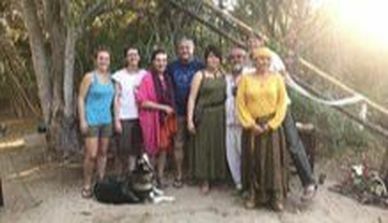 COMMUNITY ANIMATION, COLLECTIVE ECOPSYCHOLOGY, DEEP ECOLOGY PRACTICES ~ Enrich, Enliven, Entertain and Elevate your community's character and unique Expression. Bring your group, organization, neighborhood, town into the Earth Wisdom Institute Community Animation and Celebration process. Discover your Sense of Place, Spirit of Shared Mission and rich forms of communication between generations, affinity groups and cultures already alive, well and waiting to be brought to a more vibrant life expression. Join Marcie for a joyous and transformational TEDxTalk and the story of her 40 years, founding and developing COMMUNITY ANIMATION AND CELEBRATION. 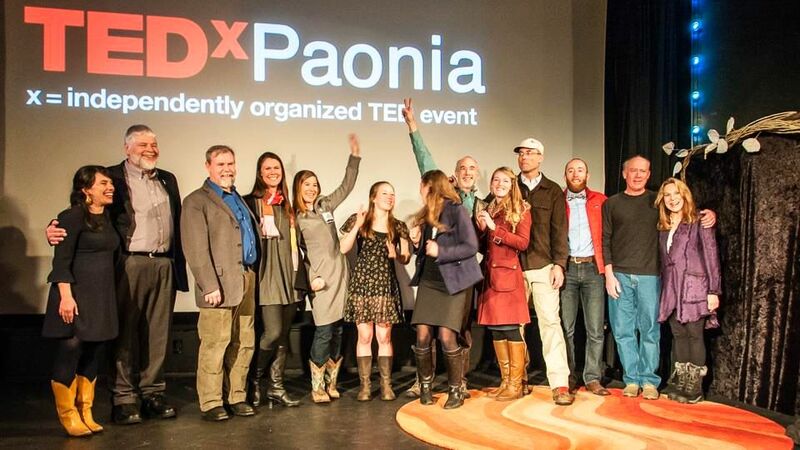 "This TEDxTalk is from a wonder-full woman I am glad to know. Marcie Telander's family-community is one of my favorite places on the planet. 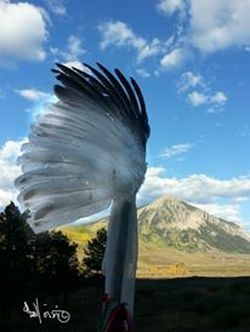 From a physical point of view, it is stunningly beautiful there, but the real beauty of Crested Butte lies in the spirit and fierce protection its people share for their community." - Beth Harris, naturalist and wildlife photographer. For the past 40 years I have offered consultations & on-site guidance to communities, businesses and groups in developing the experiential process of co-creating Earth-honoring programs--in their own home towns. existing local arts & traditions. ​ communal mythology for all ages to share. 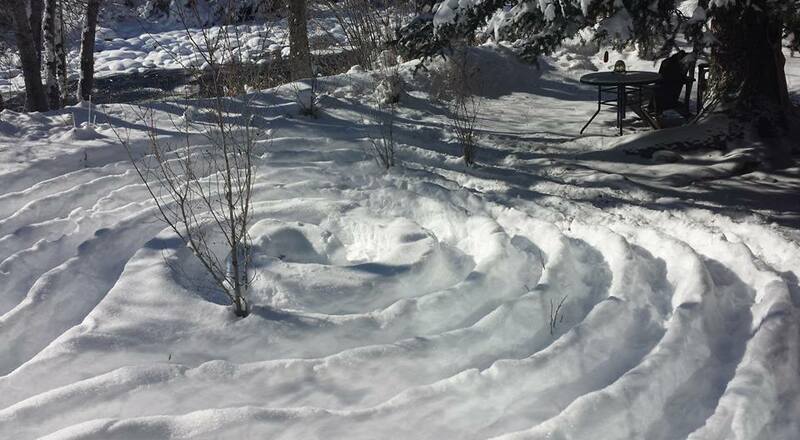 I am a Licensed Professional Counselor in New Mexico, an internationally Registered Expressive Arts Therapist and an elder of the ecopsychology and eco-justice movements. I am a nationally-known storyteller, ritualist and interdisciplinary arts theapist and consultant. 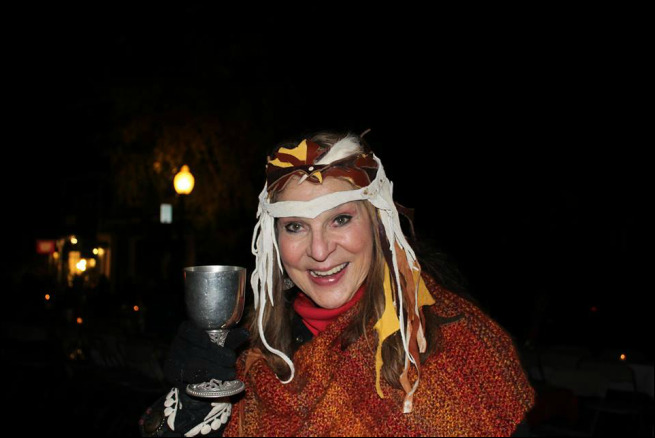 I have been privileged to create Earth-awareness celebrations and community animation events across the country, Mexico and Europe based on the oral narratives, myths and legends of the places and people of all ages who live there. In 1985, I created VINOTOK with the Elders and community members of my hometown, Crested Butte, CO. 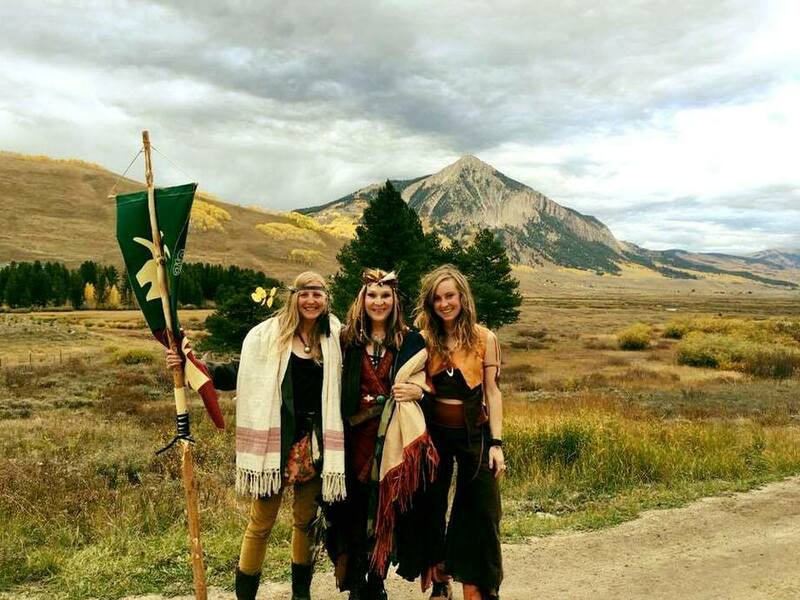 This is Crested Butte's annual heritage festival and storytelling celebration. It was designed as a safe, enlivening way to bring the disparate local mining and ranching communites together with more recent arrivals. USA TODAY named Vinotok, "One of the best small-town festivals in America." "Grandmother Marcie, I want to express my deep gratitude and love for your presence and the magical work you continue to uphold here in this valley and beyond. Thank you for being here. I am forever humbled." 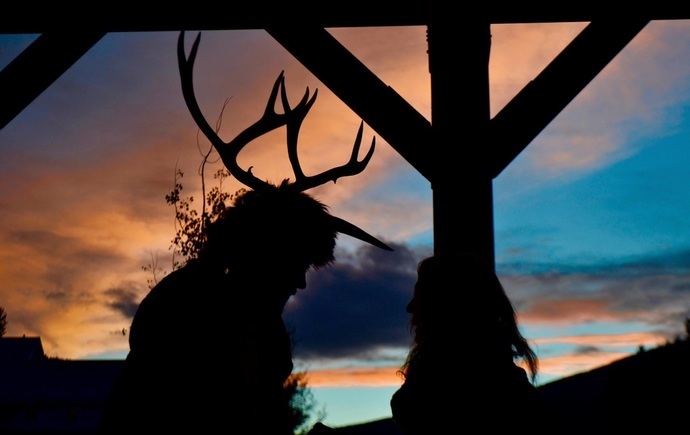 --Lucius Divine, Body Artist, Musician, Ritualist - Crested Butte, CO.
Toasting after officiating at the All-Community Handfasting and Wedding Feast. 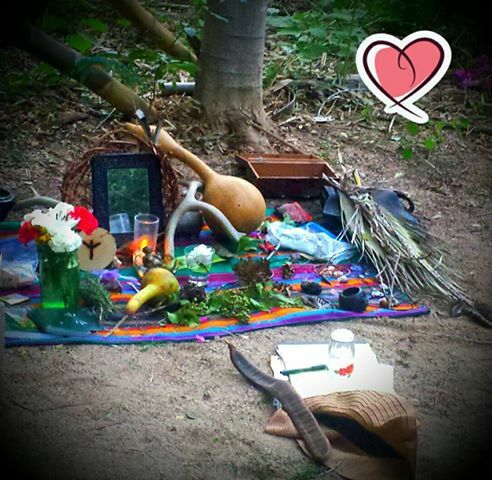 Winter Labyrinth Ceremony at the East River Labyrinth. Wise Acre Retreat. Dedicated to the Interconnection of all species. 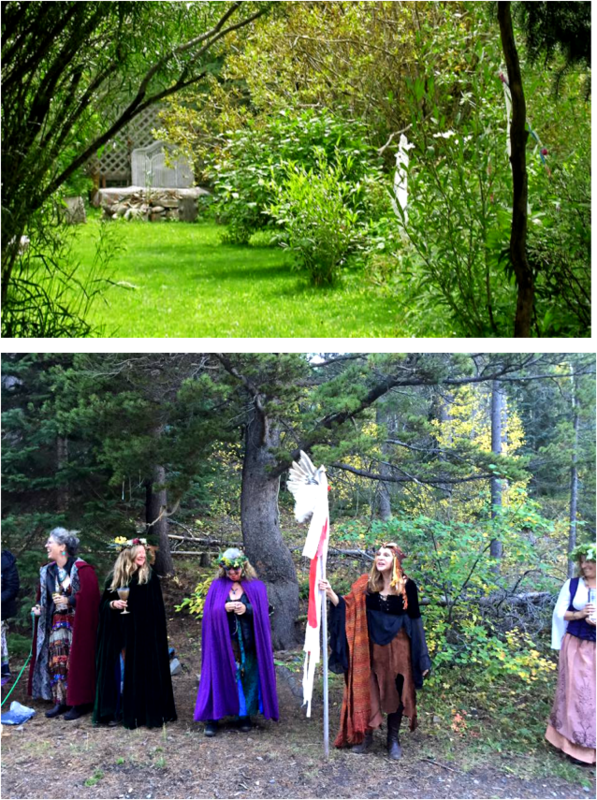 WISE ACRE RETREAT CENTER & Women's Harvest Blessing Celebration.